The original series that started it all, Catifa 53, is reimagined for 2016 with a matte plastic or leather finish, lending sophistication and modern character to the quintessential form. Reimagined as a refined and sensual silhouette, Catifa 53 finds warmth in its new materiality. Shade selections of white, ivory, gold, sand, caramel, café, antrazit or black lend natural elegance to matte plastic. 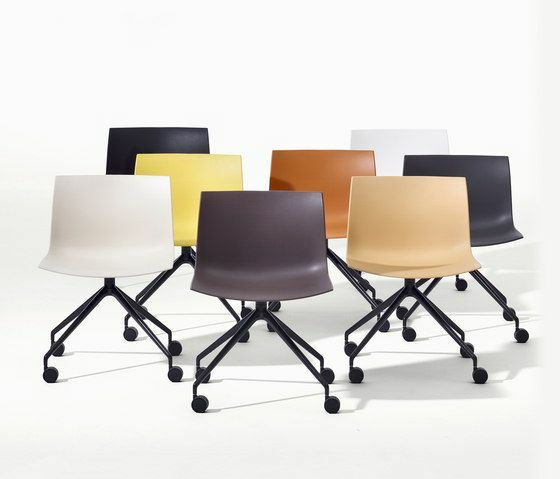 These new finishes can be further intensified by a loose seat cushion compatible with all models. In variable fabric finishes, the optional cushion creates a rich interplay of textures, colors and materials to bring tactile pleasure to any environment.